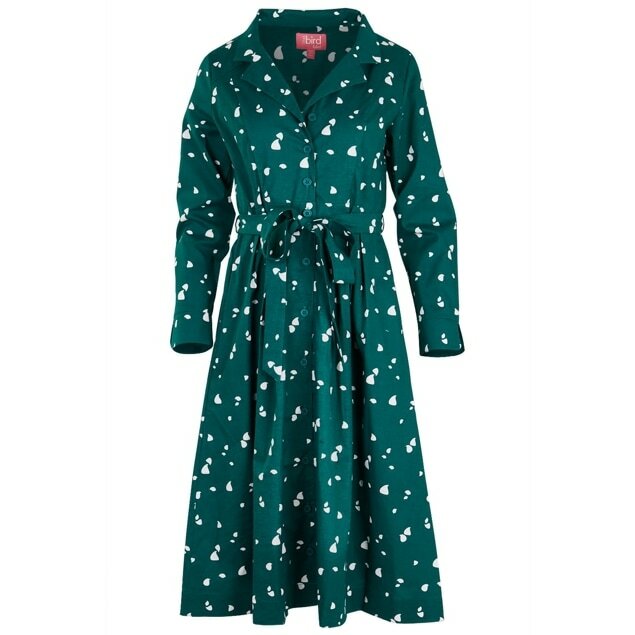 We only got a glimpse of the Duchess wearing the Suzannah Budding tea dress when she wore it under her Erdem coat on a visit to the Waikato region of New Zealand and then again in Canberra, Australia during the 2014 royal tour. 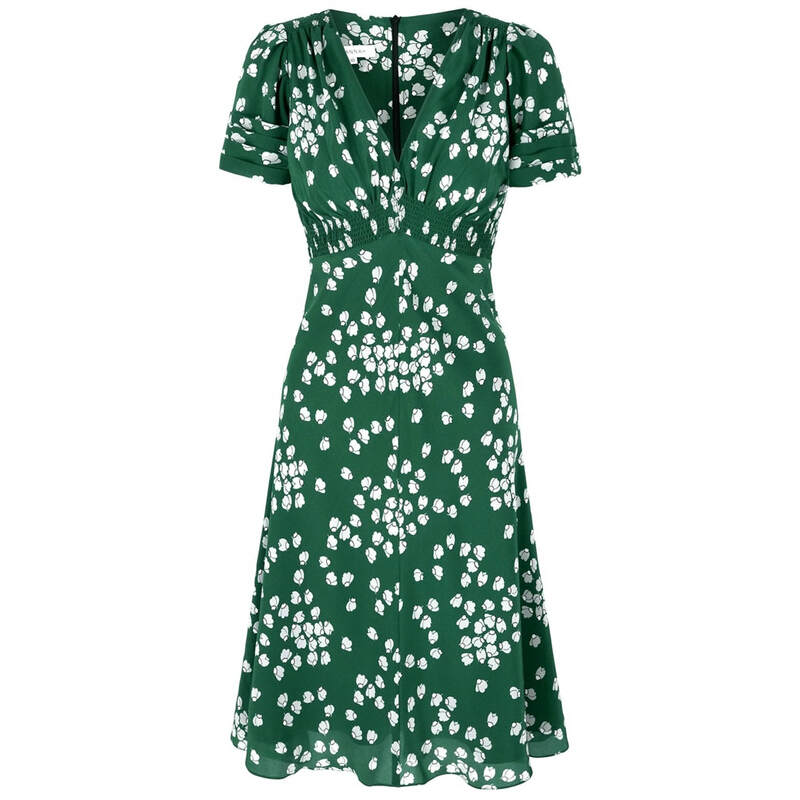 It is a classic tea dress inspired by the 1930s which features a beautiful budding heart print on a green silk background. It has smocking detailing at the shoulder and under the bust, with the bias line of the skirt skimming to below the knee. STYLE FILE: Suzannah Budding Heart Silk Tea Dress as seen on Kate Middleton, The Duchess of Cambridge.